There are a few options for providers of Embraer Phenom 300 training. The main option is the training provided by Embraer and CAE. Embraer and CAE have teamed up and created Embraer CAE Training Services (ECTS) that provides full Embraer Phenom 300 training. Embraer CAE Training Services provides initial and recurrent Embraer Phenom 300 training for pilots. Phenom 300 Initial Training includes a Flight Skills Assessment, Pre-Training Study package, ground school in the classroom and cockpit, ground school simulator training and initial operational experience. The initial Phenom 300 training course provides you with the Embraer Phenom 300 Type Rating. Embraer Phenom 300 recurrent training consists of a review, type rating recurrent training and type rating simulation/flight training. Embraer CAE Training Services also provides Embraer Phenom 300 maintenance training. 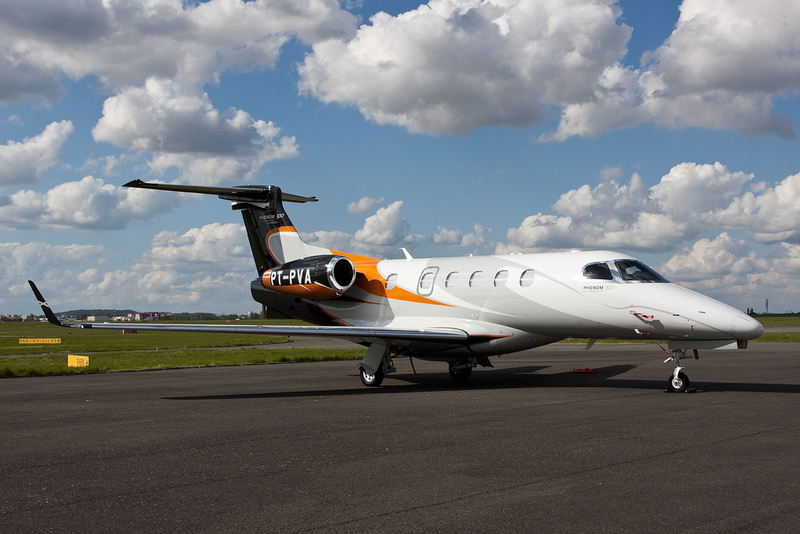 Like the pilot courses, ECTS offers initial and recurrent Phenom 300 Maintenance training. The initial Embraer Phenom 300 course includes a pre-training study package, ground school classroom and cockpit, practical maintenance training and on-the-job maintenance training. Above Embraer Phenom 300 Training Photo by Jerome_K on Flickr. Photo (only) released under a Creative Commons License. For reference: Embraer Phenom 300 Training is also known as E55P Training, Embraer 300 Training, Phenom 300 Training, EMB-505 Training, Embraer 300 Phenom Training, Phenom Jet Training, Phenom 300 Jet Training, Embraer Phenom 300 light jet Training, Embraer Phenom 300 airplane Training, Embraer Phenom 300 aircraft Training and the Embraer Phenom 300 Business Jet Training. Information from Embraer CAE Training Services Brochure and other sources.